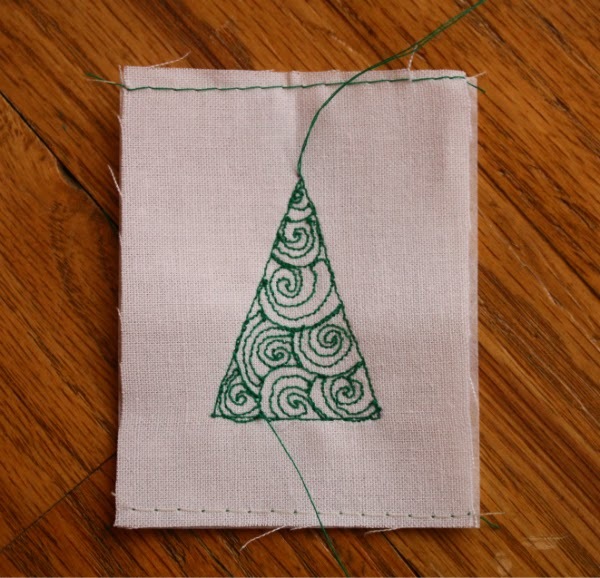 I've been working on more of the free motion quilted tree ornaments I shared before. This time I'm making them a little differently. Before, I made the ornament and then stitched the tree through both layers. Since I wasn't using batting I wanted to have the two layers of fabric to help stabilize all those stitches, but there was still a little distortion as you can see in the ornament on the right. The one on the left is made with the new method. I'm using a tear away stabilizer and only stitching the tree onto the front piece. Then, after removing the stabilizer, I put the ornament together. It makes for a much neater finished product, don't you think? I also tried a new fmq design. I quite like the swirl-filled tree! Hopefully this evening I'll have a chance to finish the ones I have half done. 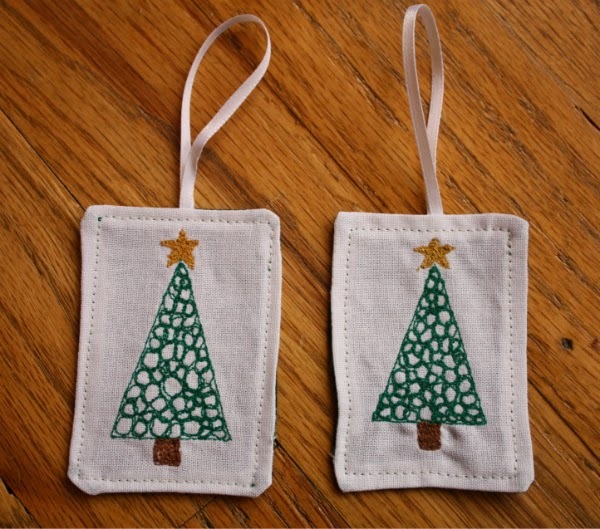 How is your Christmas sewing coming along? What a difference some stabilizer makes. They are looking great! The swirls look great! These are going to really dress up your Christmas tree. So pretty! These are so pretty, what a lovely idea! Love the tree FMQ! Happy New Year!